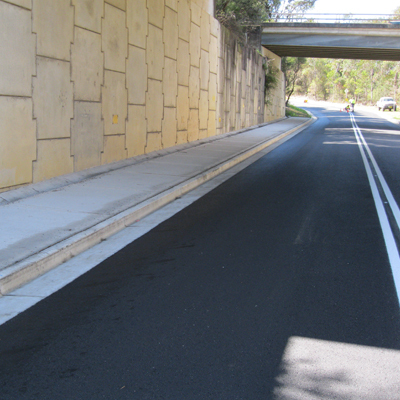 Constructed under continuous Heavy Traffic volumes requiring extensive Traffic Management Controls and Staging. 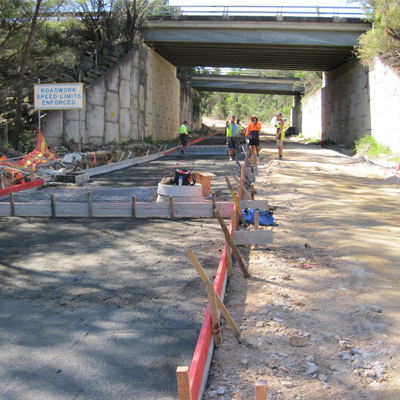 Included detailed investigation, locating and assisting road and sewer/stormwater redesign, to enable excavation and construction of works adjacent and around extensive live electrical, water, fibre optic, Telstra, and High Pressure Gas Mains which were obstructing works along entire proposed road route. Included Supply, Design and Construction of Reinforced Concrete Road Protection Slabs (700m2) to be integrated with Road Pavement Design over High Pressure Gas Mains.